Sinwa Tours will take you to one of the 3 wonderful private reserves that are hidden in the Monteverde Cloud Forest. Curi-Cancha is an ideal place for birdwatching, among which are the Quetzal, Bird Campana, Toucan Peak Iris, Bobo Bird, Trogon Belly-orange, Bird Oil and many others. Since the Reserve has records of more than 200 species of birds that have their habitat in this forest. In 1970 the Lowther family bought the property of Hubert and Mildred Mendenhall and called it Curi-Cancha, the name derives from "gold enclosure" in Inca. At that time the property was about half pastures and half jungle or virgin tropical forest. In the next 45 years the Lowthers did not clear any areas and THIS allowed most of the pasture areas to be restored to the forest. In 1997, thanks to the effort of Julia Lowther, the property was legally designated as Wildlife Refuge under the MINAE and in 2011 Curi-Cancha Reservation opened the tourists in their current form. 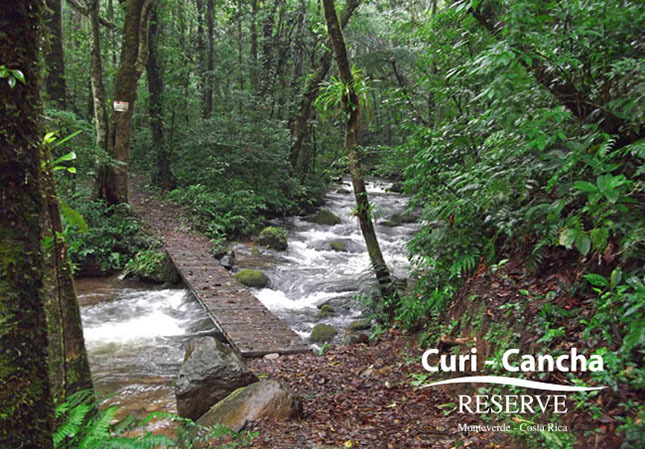 Curi-Cancha Reserva is located in the Arenal-Tempisque Conservation Area in the heart of Monteverde. Protects 83 hectares (205 acres) of 50% virgin forest, 45% secondary growth, and 5% open pasture. The altitude ranges from 1,450 meters to 1,615 meters, with 40% less montane montane forest and 60% pre-montane humid forest. Seven kilometers of nature trails allow visitors to explore the flora and fauna of the cloud forest. Curi-Cancha is a paradise for birdwatchers. 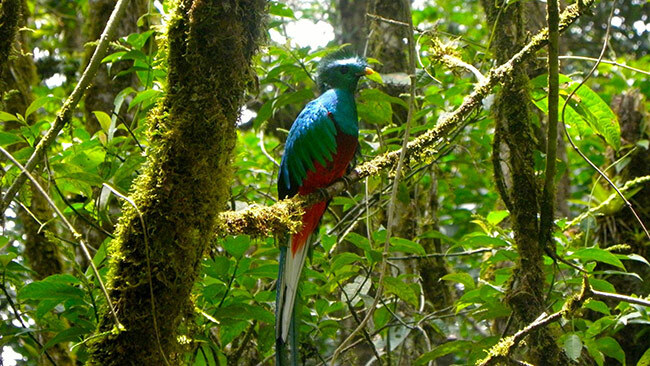 The Quetzal, Three Wattled Bellbird, Momotus Momota, Orange Belly Trogon, and many others are seen frequently. 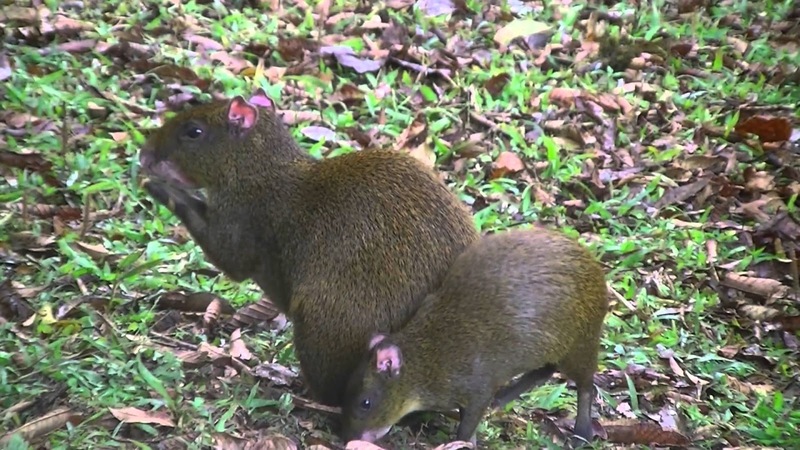 In fact, more than 200 species of birds have been observed to make their home in Curi-Cancha. Frequent sighted mammals include armadillos, coatis, agouti, cuchi cuchi, ocelot, two-toed sloth, and three species of monkeys: howler, white-faced capuchin, and spider monkey. Our guides have particular experience in finding and identifying local birds. 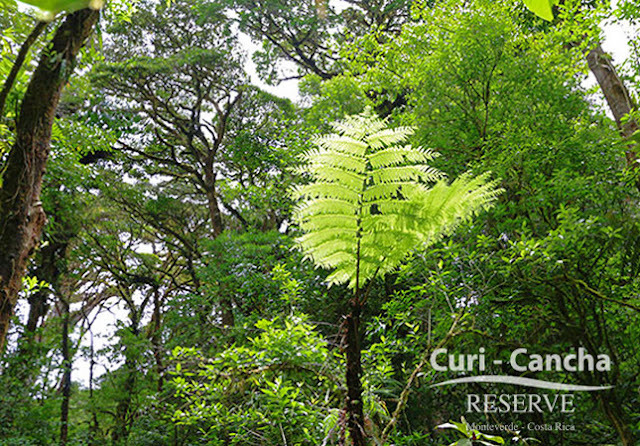 Curi-Cancha is dedicated to sustainable practices designed to maintain the reserve of a healthy habitat for animals. We limit visitors to 50 at the same time to reduce the environmental impact on trails and animals. Our main objective is to protect the flora and fauna and, at the same time, to provide a first speed and responsible service with the environment to our guests.